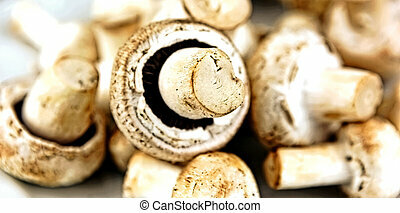 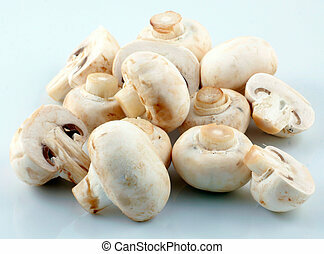 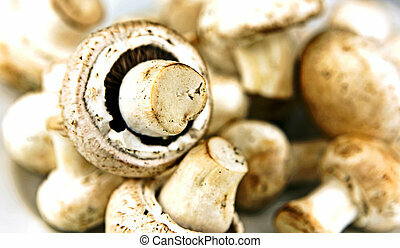 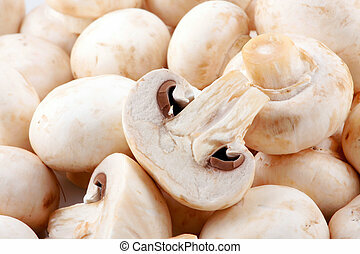 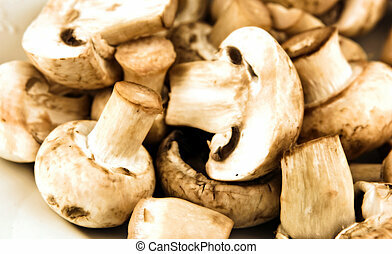 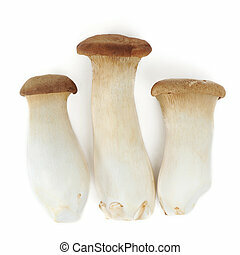 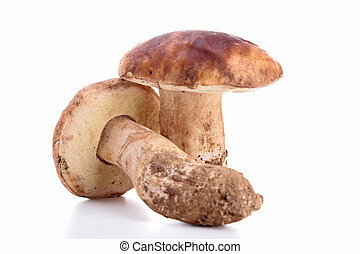 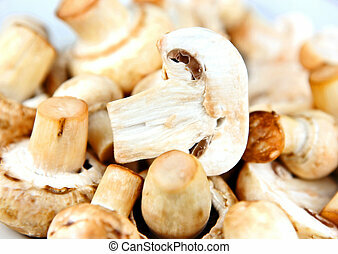 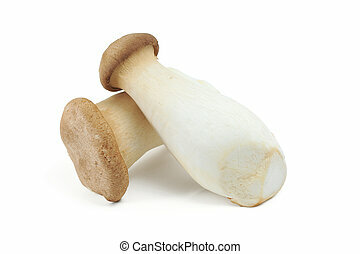 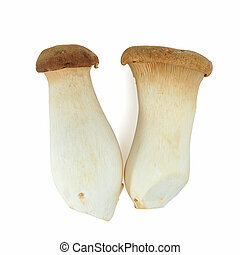 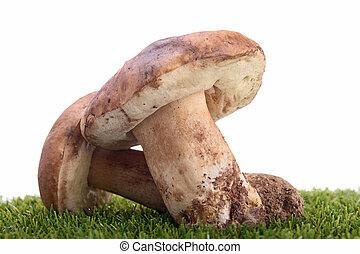 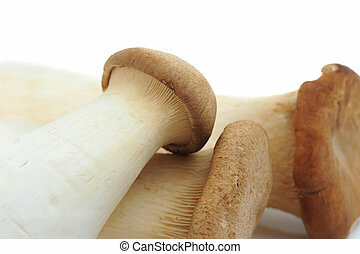 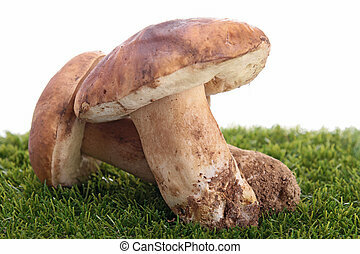 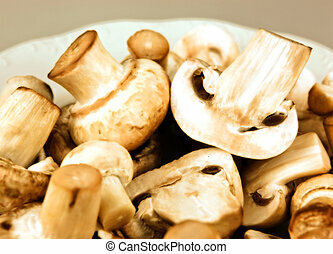 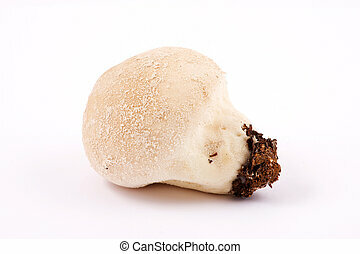 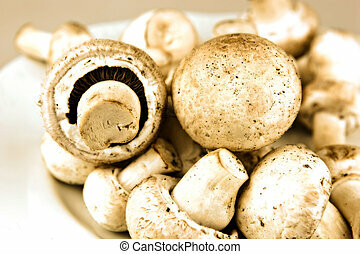 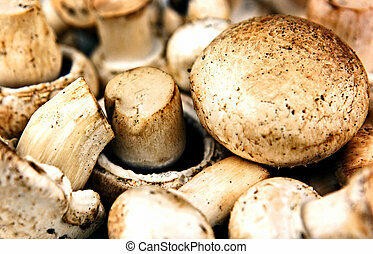 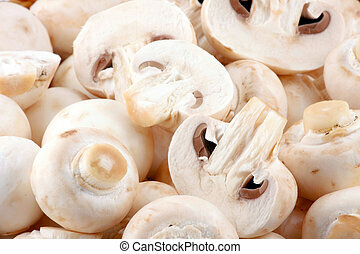 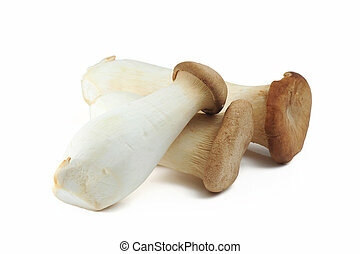 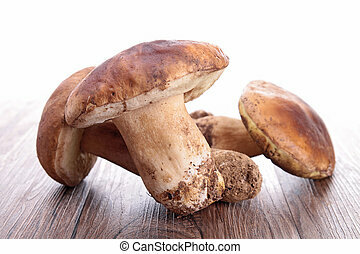 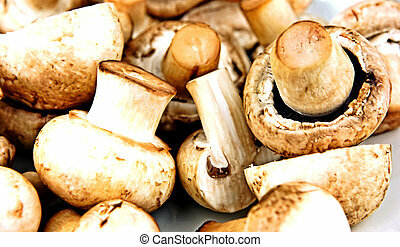 An edible mushroom, especially the much cultivated species Agaricus bisporus. 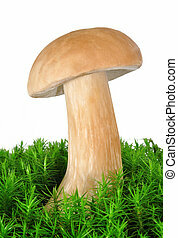 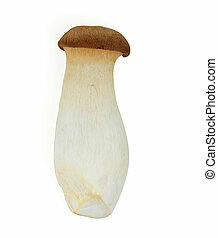 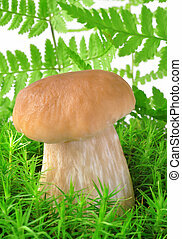 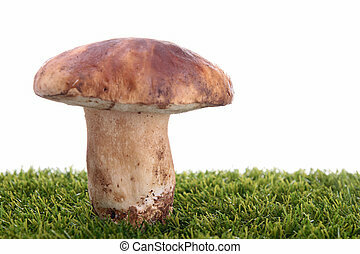 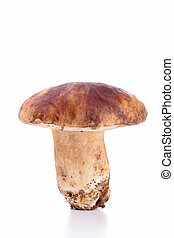 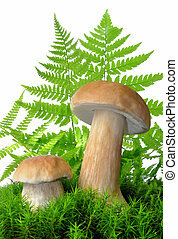 Mushroom on white background. Close Up.